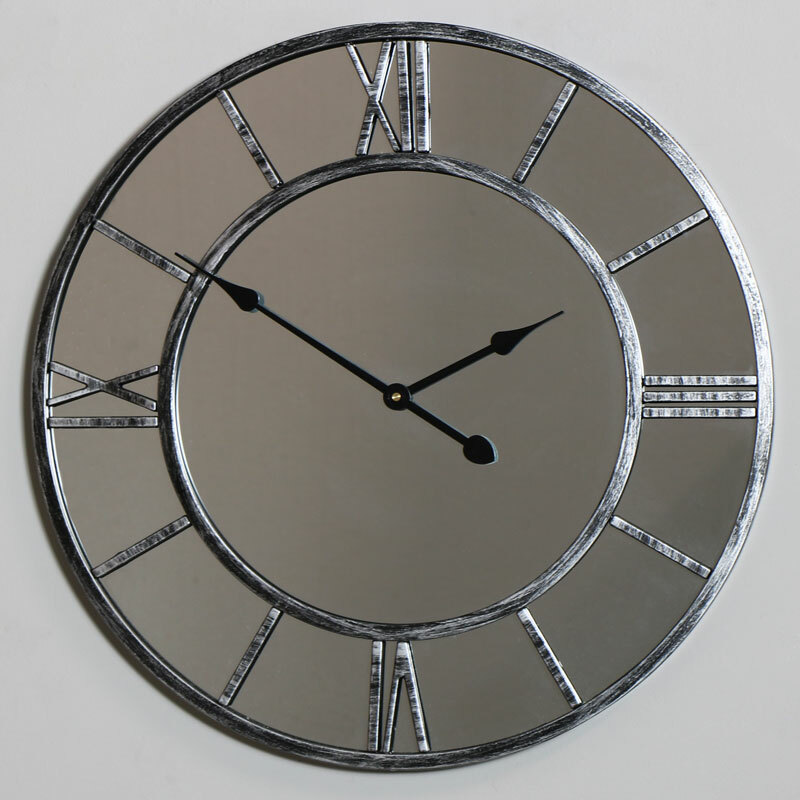 Large Mirrored Skeleton Style Wall Clock with Roman Numerals. Bold design with metal skeleton style frame over a mirrored backgound. 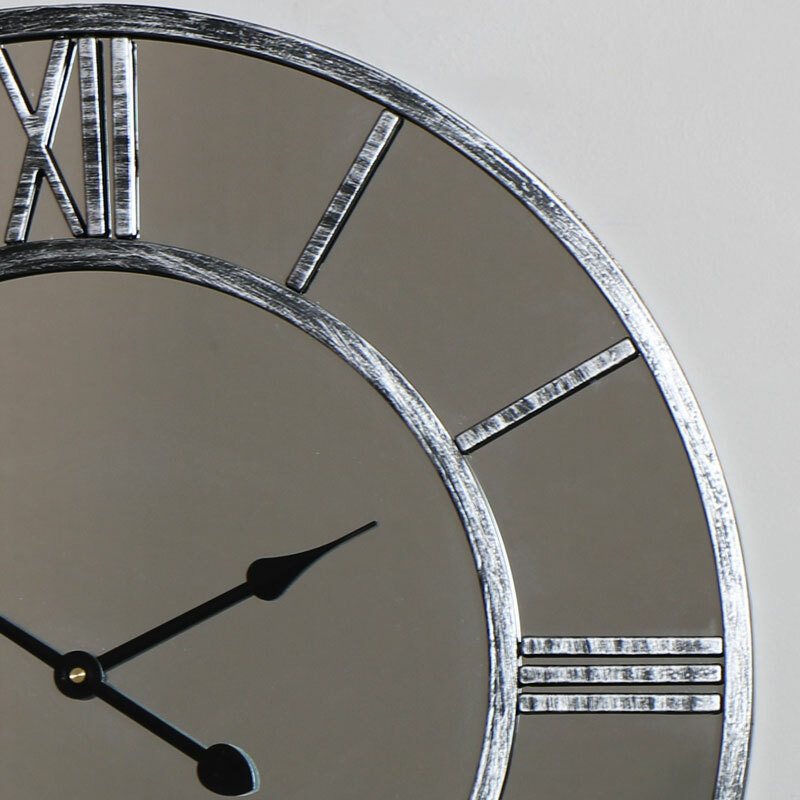 Large easy to read Roman numeral display with hour and minute hands only. Constructed with a mirrored glass front and metal detailing on the front. Easily wall mounted with hook on the back for hanging and takes x1 AA battery (not included). Please note there is some minor assembly with the clock hands to be fitted, this is to ensure that the hands do not get damaged during transit. 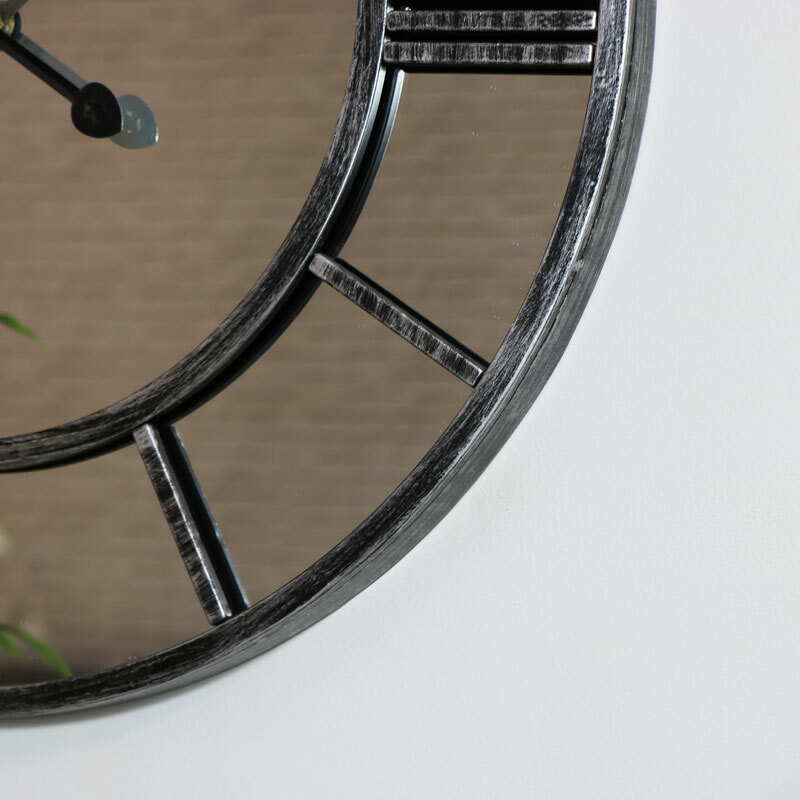 We have a fabulous selection of wall clocks with many more skeleton style to choose from.